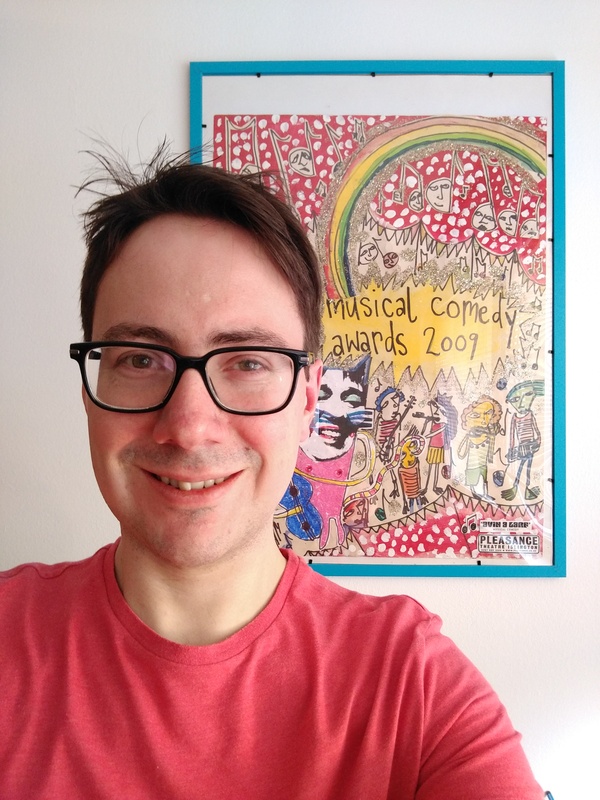 Ed Chappel, founder of the Musical Comedy Awards, has been pitting the very best talent in musical comedy against each other for the last nine years now as acts battle it out for the MCA crown. We’re proud to have sponsored the event for the last three years, and in that time have been treated to some hilarious, strange and riotous performances. We caught up with Ed to hear a bit more about the Musical Comedy Awards, his favourite acts from past years and how a ‘Dragons Den’ scenario helped him get started. The WeGotT ickets Musical Comedy Awards is now in its ninth year. For anyone who still hasn’t managed to make it down, can you explain what it is, and how it works? Our competition proudly displays the UK’s best up and coming musical comedy acts: comedians who combine comedy with music! The grand final at the Lyric on April 10th is the culmination of a series of heats, Quarter-Finals and Semi-Finals featuring the UK’s top 40 musical comedy acts (this year 48 as a result of the exceptional quality and high level of interest), which take place at the Phoenix in Cavendish Square between January and March. By the time we reach the final, we will have ten finalists, with each giving us their best 8 minutes and hoping to win over industry judges and the audience to win the musical comedy crown. I was always writing comedy songs myself (I still am and hope to win the 2019 competition as Ned Crabapple, oops did I write that?) and was greatly inspired by acts such as Flight of the Conchords, Tim Minchin and Bill Bailey. When I was thinking about setting up the MCAs in 2008, acts like Frisky & Mannish and Abandoman made me realise there is far too much talent for musical comedy to be a sidekick of stand-up – let’s do this! How did you go about starting the MCAs, and how difficult was it getting the first edition off the ground? I did an MA at Warwick in Creative and Media Enterprises and one of the modules was to come up with a hypothetical business idea for the creative industries and deliver a pitch in a mock Dragon’s Den situation. 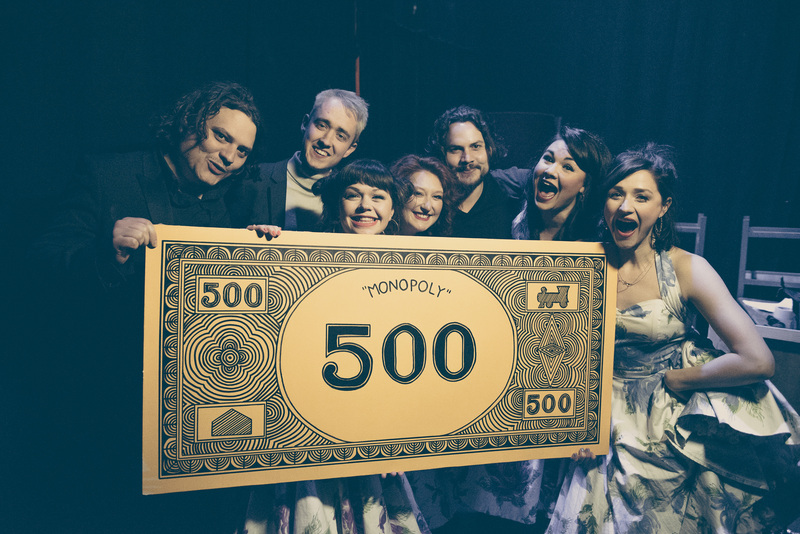 The investors took my idea seriously and gave me £15,000 to set up the Musical Comedy Awards and create an independent platform to discover, support and celebrate the UK’s best emerging musical comedians. In the first year, we did an excellent PR campaign and also had a huge amount of support from the musical comedy community and we sold out our inaugural final at the Pleasance in London. It was a huge amount of work but a great success from year one! You must have seen some amazing performers over the years. Can you tell us a bit about some of your alumni and what they’re doing now? Our standout acts that we have worked with must be Abandoman and Frisky & Mannish, who have since toured the world and set up global audiences with their unique form of music-based comedy. We have also worked with a number of acts who are very well established on the circuit and in the West End, such as Jay Foreman, Sarah-Louise Young, Mae Martin, Harriet Braine (we discovered her last year and she became our Best Newcomer, before winning the Funny Women Stage Award and also reaching the final of So You Think You’re Funny with her hilarious art history songs). We have also worked with some top headliners such as Bo Burnham, David O’Doherty and the brilliant Isy Suttie. You must have also had some pretty strange entrants. Are there any acts that stick out for you as being totally bonkers? We actually had him as a headliner, but one of the most wacky acts we ever had must be Dr Coca Cola Mcdonalds. He was absolutely off the planet and so wonderfully shambolic – check him out on Youtube! Another delightfully loopy act was Brigitte Aphrodite, she won the Spirit of the MCA back in 2010 and is doing very well for herself. So much glitter and very glamorous! We’ve had a few acts who did genuinely terrify us, but we can’t mention them here as we are too scared they will hunt us down and mangle us with their out of tune instruments. You now live in Austria with your family, how does this affect the day-to-day running of the competition? It works very well, as I am a native speaker teacher in a bilingual school in Vienna and don’t have the same workload as I did when I was teaching German and French back in London, so when I leave the school I have time for my wife, children and also time to organise the MCAs! Tamara Cowan my colleague runs the live shows and I do the behind the scenes work online! I do sometimes feel like a strange foreign overlord who only exists in email form, but my wife allows me to go over for one heat and the final, so I do get to see a few shows! Soho, and expand to include ten acts performing. What was the thinking behind these changes? The Udderbelly was unable to confirm dates with new ownership and so we very sadly had to look elsewhere. I am sure we will have shows again there in the future though; it is such a perfect venue. As it was already February, there were no big enough theatres with a Saturday night slot in April, so bearing in the mind the risk of having a show midweek in terms of potentially reduced audience numbers, we decided to increase our number of finalists from 6 to 10 and to make it an absolutely incredible venue, which the Lyric Theatre most certainly is. It’s a big gamble but sales are looking good, we still have six more finalists to announce and we already have close to 300 in the room. I think we can do it. If we can get six or seven hundred people along on a Monday night I’ll be very happy, but with our incredible host Tina T’urner Tea Lady, our amazing finalists and the fantastic support we get from WeGotTickets, I am dreaming that we can sell it out! 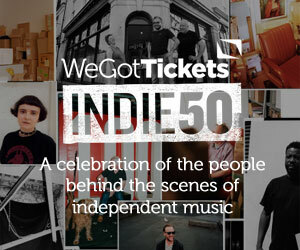 Can you give us a little preview of what to expect from the final and the acts competing at The Lyric on April 10th? Tina T’urner Tea Lady is quite simply the best. She is such an incredible comedy creation and Tracey Collins is an amazing performer. She brings so much energy and so many laughs to the occasion and she will be an outstanding host! As I mentioned above, this year we increased the number of competitors from 40 to 48 as a result of the extremely high quality of our applicants. We already have four finalists announced, the brilliant Friz Frizzle, a Songruiner who armed with his piano takes apart songs you know and love in a hilarious way. We’ve also got Katie Pritchard, who delivers possibly the highest energy set I’ve ever seen. Absolutely blistering combination of songs and jokes – she tours as Hurricane Katie and she will quite literally blow you away! We also have Will Hislop who also performs in a great duo called Giants. He has such an original, intelligent and witty way about him and we expect great things from him. Finally, we also have a brilliant sketch trio called Two Plus Ones, fresh from the Cambridge Footlights, these guys have an absolutely incredible set based on millennial angst. They have such a funny skit on living at home with your parents that is unmissable. I can’t believe that we have 6 more finalists to announce too! It’s going to be an absolute cracker. For more like this follow @WGT_Henry on Twitter.